Towards the end of term 2 our senior Chemistry students had the opportunity to meet James Collie and hear the story of Pauling Industries. 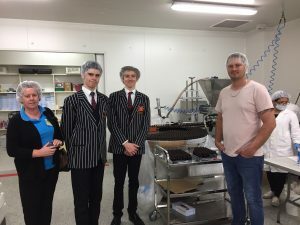 This was then followed by a tour of the Business where they had a first-hand look at how Business Studies, Chemistry and Physics work together to ensure a successful business venture. 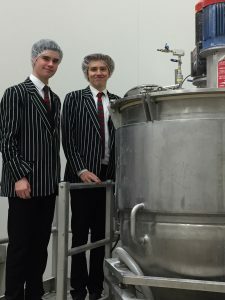 They spent some time looking through the laboratories, seeing their chemistry in action both in Research and Development and in Quality Control. They were then taken through the factory seeing the practical applications of the chemistry and engineering. The one tonne vat of toothpaste (as seen in the photo with the two boys) was a great source of amusement.